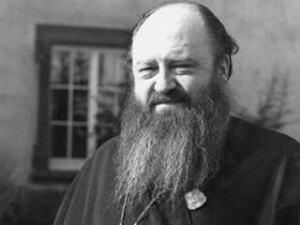 As Matthew pointed out in his post yesterday, this week marks the 47th anniversary of the death of one of the truly great Orthodox churchmen of the 20th century, Metropolitan Leonty Turkevich. With an ecclesiastical career in the United States spanning from 1906 to 1965, there are few figures in the history of Orthodoxy in America who can claim such longevity, much less a comparable length of time spent at the heights of church administration. From his first assignment in America, as Dean of the North American Russian Orthodox Theological Seminary in Minneapolis, Minnesota, to his last, as Metropolitan of All-America and Canada of what was then the Russian Metropolia, Leonty served as a key figure in nearly every moment and institution of note for nearly six decades. When Matthew asked me to write a piece about Leonty, I kept coming back to a single moment at the end of his life, a story for which there is a rare corroboration of accounts from multiple sources (one from the Moscow Patriarchate, the other from the Metropolia) that each give a unique picture of who Leonty was, and how his personality, longevity, and the weight of his institutional memory impacted those around him. In early 1963, at the height of the Cold War, the National Council of Churches invited a delegation from the Church of Russia to visit the United States for a goodwill visit to acquaint the American religious establishment with leaders of the living, breathing Church behind the Iron Curtain. Led by Archbishop Nikodim Rotov of Yaroslavl, head of the Patriarchate’s Department of External Relations, a side benefit of the delegation would be an opportunity for an informal assessment the true situation of the tensions between the Metropolia and the Patriarchal Exarchate as it existed on the ground, if not possible dialogue. 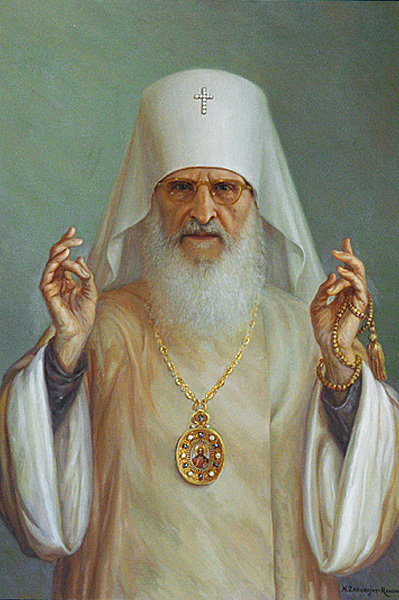 Through the formation of the Exarchate in 1933, a longstanding lawsuit over control of St. Nicholas Cathedral in New York City, and stalled negotiations following the decision of the 7th All-American Sobor to renew the Metropolia’s administrative ties with Moscow in 1946, a bitter period of animosity between two jurisdictions with a shared history had dominated both local and national church life for decades. Aside from an informal meeting in 1961 at a World Council of Churches meeting in New Delhi, by 1963, no formal or significant dialogue between the two parties had occurred for over a decade. As he would recall over a decade later, one evening in March of 1963, Fr. Alexander Schmemann, Dean of St. Vladimir’s Seminary, received a telephone call from an Episcopalian acquaintance announcing that Nikodim and the delegation wished to visit the seminary, and would be arriving on campus within a few hours. Schmemann quickly dispatched a call to Metropolitan Leonty to ask for permission to receive the delegation. Leonty quietly replied, “receive them with love.” The visit went well, and Schmemann arranged for Nikodim to meet with Leonty several days later over dinner at the Metropolia’s Chancery in Syosset. As a historian, this moment in a lifetime of truly monumental moments offers a good entry point by which we can understand the broader picture and historical narrativity of Leonty’s impact in America. His role as a priest in the highest levels of diocesan administration, theological education, and publication shows the ambitious vision of the pre-Revolution North American Diocese to serve a rapidly growing, geographically expansive flock, and the extent to which the Revolution would fundamentally change this trajectory. Leonty’s episcopal career (and the process by which he became a bishop) is a lens by which we can explore the deep divisions of the jurisdictional fracture of Orthodoxy in America in the wake of the rise of Bolshevism. And in his final years, his hospitality and dialogue with Abp. Nikodim put in motion a series of sometimes tense, yet ultimately fruitful meetings leading to the granting of Autocephaly to the Metropolia in 1970, forming what is now the Orthodox Church in America. In the months to come, I hope to further explore this dynamic figure, exploring how his roles within the Church found him intimately involved in some of the most controversial and heated moments Orthodoxy has seen on the North American continent, yet whose demeanor, deep spirituality, and kind and quiet disposition found him almost universally revered even in the face of discord.